Relationships, in general, need words. Some may argue that actions speak louder than words but according to poet Khalil Gibran in his book The Prophet "For without words, in friendship, all thoughts, all desires, all expectations are born and shared, with joy that is unacclaimed." You don't expect anything to be interpreted or read the right way, there has to be words, but don't skimp on actions either. Actions would give your partner hints. But your words will confirm them. Just like when you are courting, you don't say "I love you" right away, you first give her hints. Like: giving her your best smile (with matching blinking eyes if you can dare), treat her to dinner (most likely including her friends) and taking her home (hopefully no father is waiting at the front door). And when she responds positively, then BOOM: say it and she's yours. These things do not end in courting and dating. It still applies even in marriage. The deeds make you feel loved but the words blow your mind and heart out. When your wife is cooking, hug her from behind and she'll feel loved. Whisper to her you love her and she'll best a 5-star chef. Never fall for the trap of being good at words without the deeds or being just a silent lover. 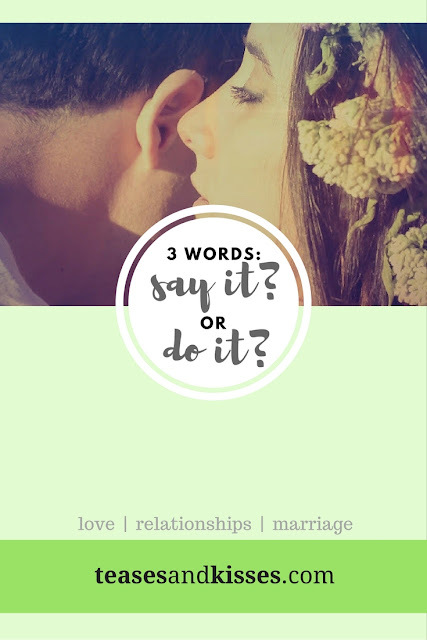 The three magic words should come in both words and deeds. That' why it's called magic. 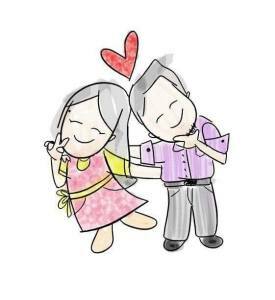 I love hearing and saying "I love you" everyday, or whenever i feel like it. It's like a reminder, though you know you don't need reminding. it's a pick-me-up when you are stressed or in a bad mood, it's a ray of light in a cloudy day, it's a warm hug even when he is not beside you right now, it's a cheer for you to go jump up the hurdles of the day, it's a good medicine to cure your hurts and doubts - it's a lot of things. Our answer for the title question: BOTH. Why do you have to choose one when you can do both? Make it a habit to say, or leave a note, or send an SMS to your partner. Make "I love you" the first thing you say to your partner in the morning and the last thing you say in the evening. The way you say it does not have to be fancy - it just has to be sincere. "I love you" is the first of the 3 phrases you need to say a lot to your partner. The other two, which are equally important, are "Thank you" and "I'm sorry" (which will be discussed on a separate post). These three are your mantra and bloodline - do not forget them. Say I love you every day. Say it many times a day. And mean it. Put down your gadget and say it now. NOW.